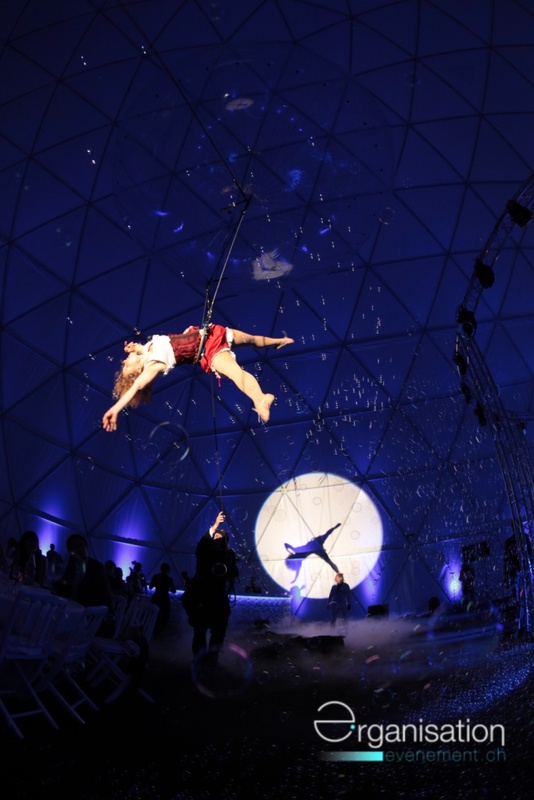 Eventually gravity is good, we all know that a body thrown in the air inevitably will fall to the ground, but the curve, the curve is everything! 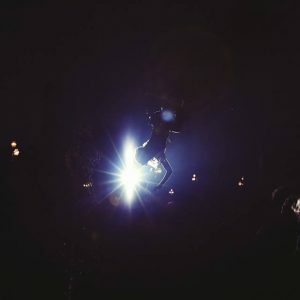 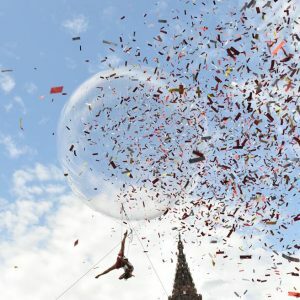 that’s what who beat his life, which determines the fleeting moment; just after his ascension, just before his fall … The space of an infinitely short time that the body seems still and speedless, it is this moment that the “Bubble” show invites you to live. 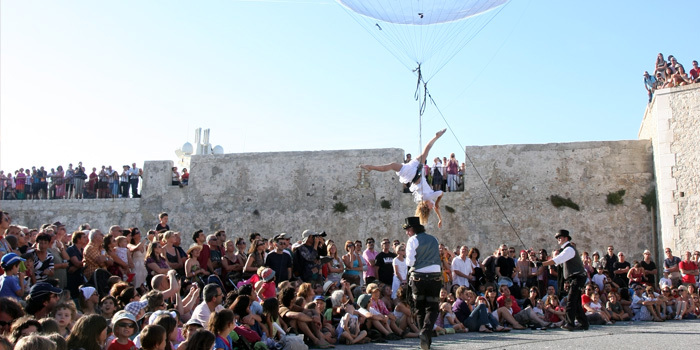 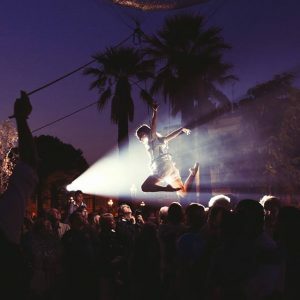 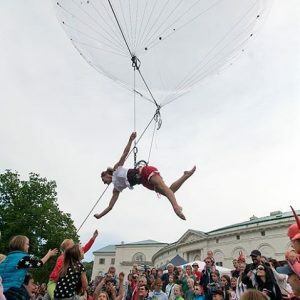 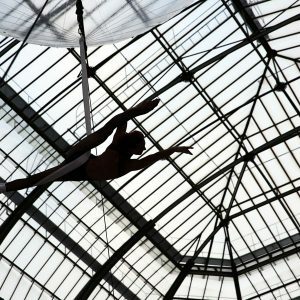 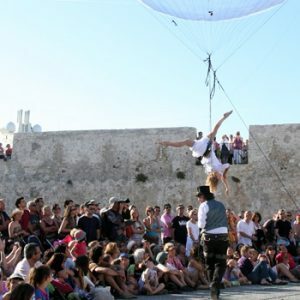 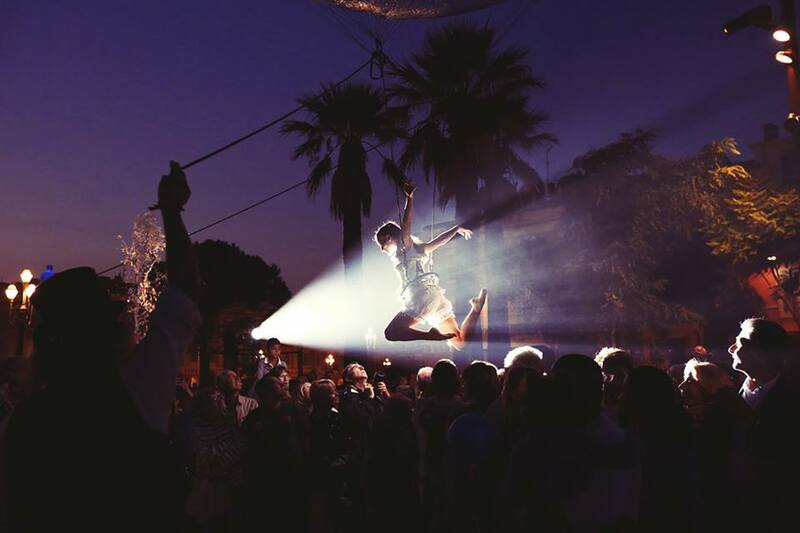 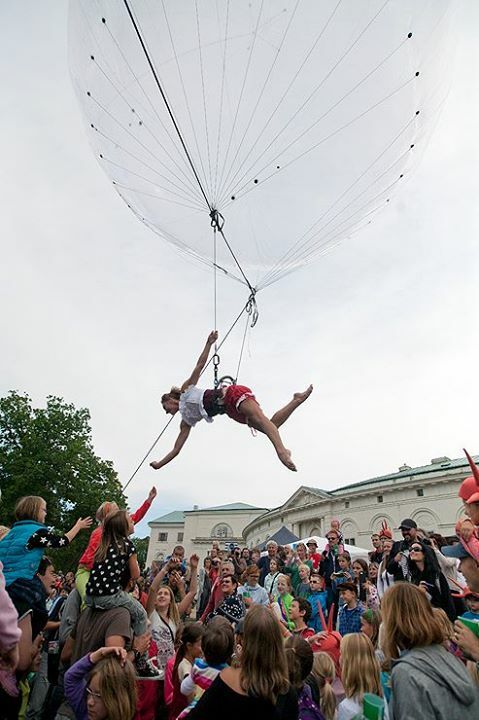 This aerial show is scheduled to be played outdoors or indoors (+ 15m). 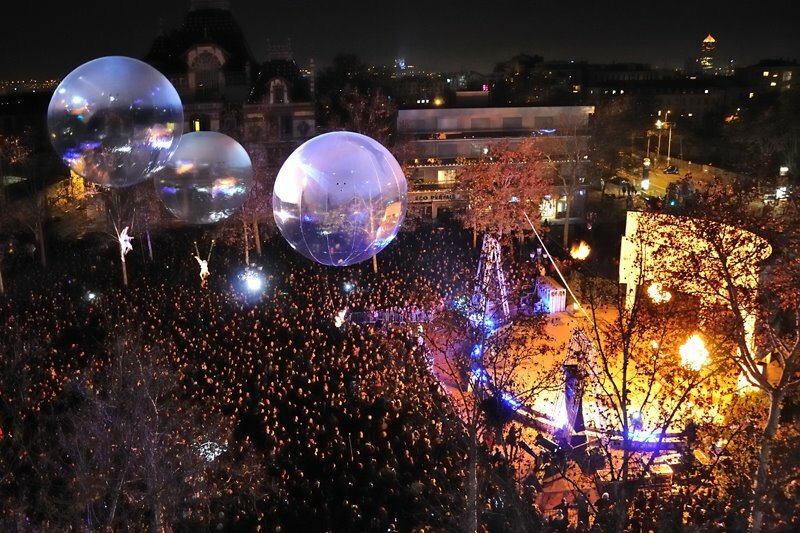 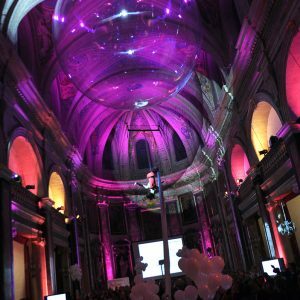 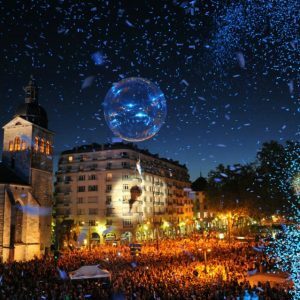 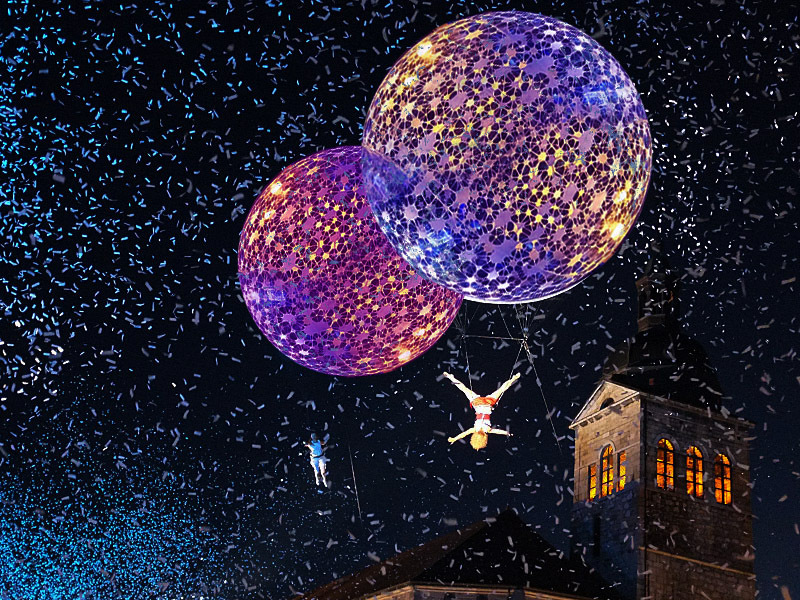 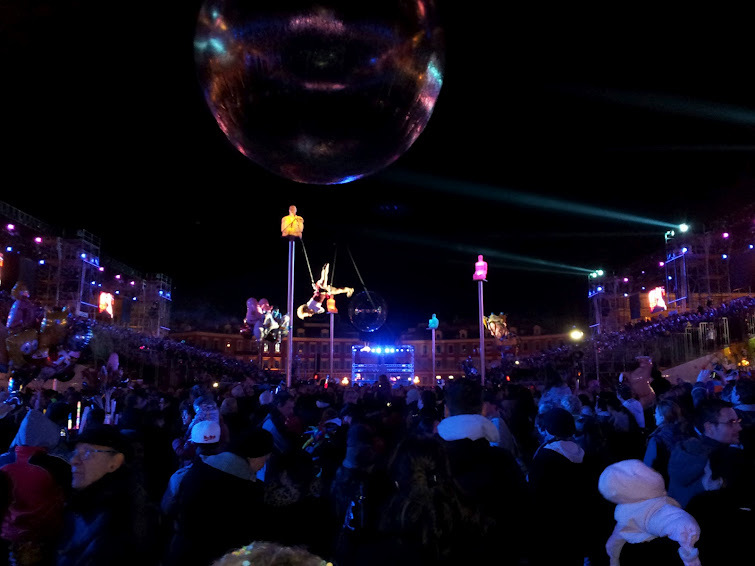 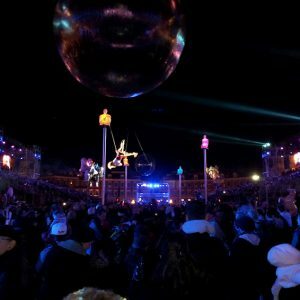 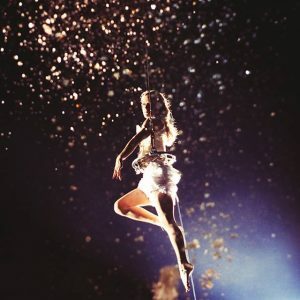 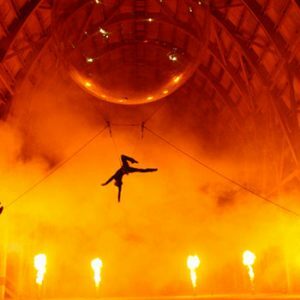 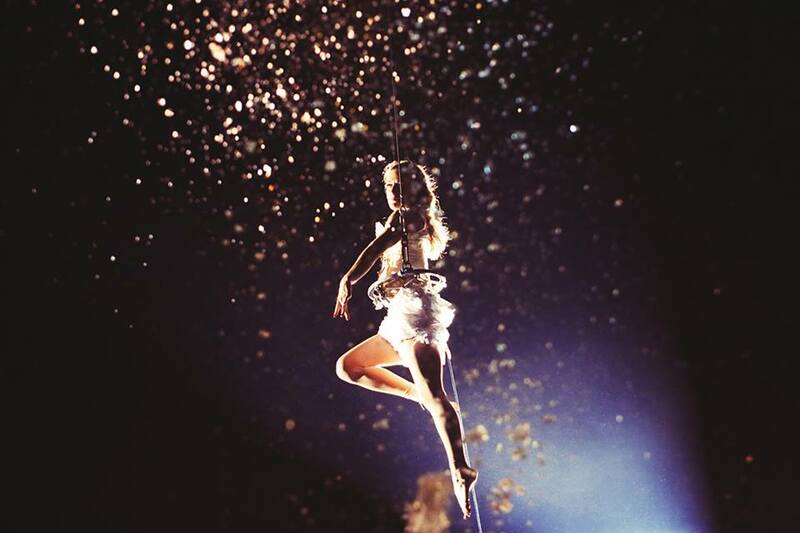 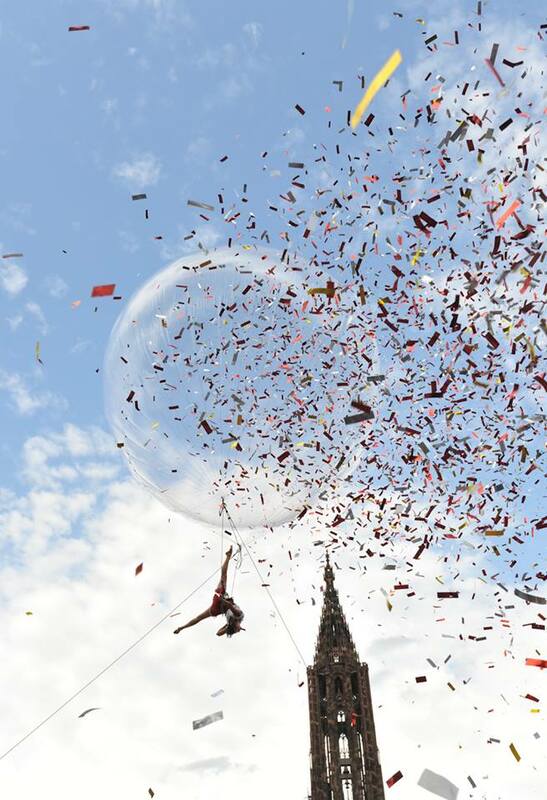 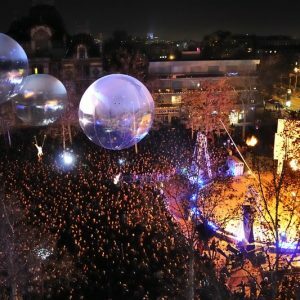 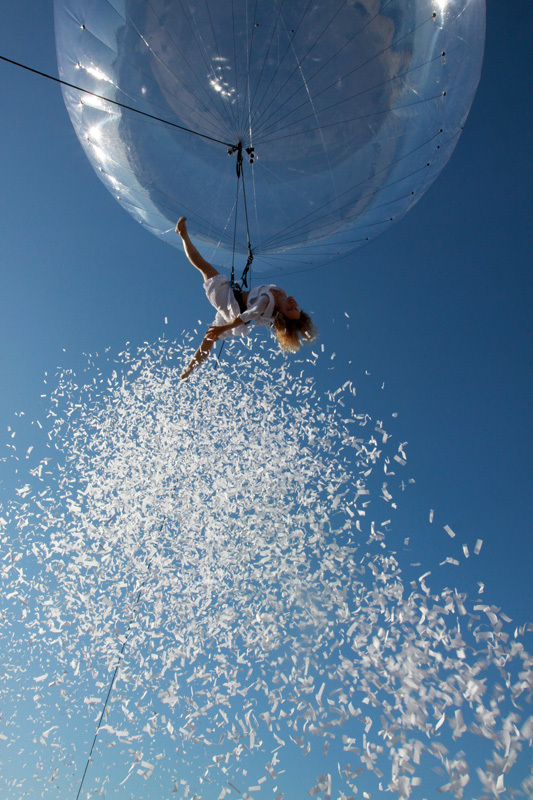 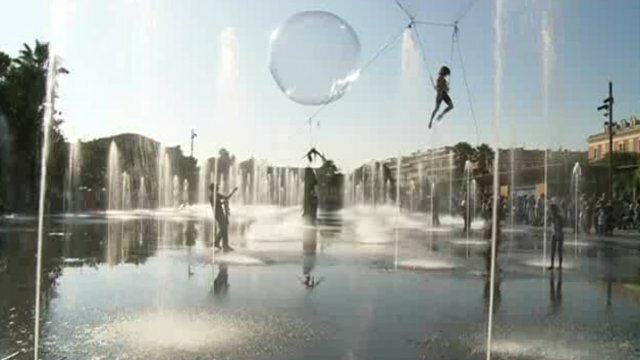 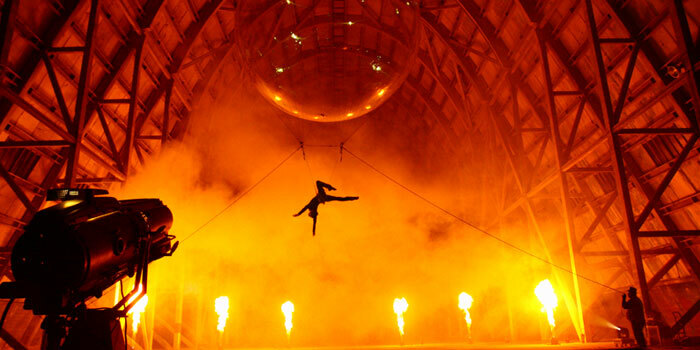 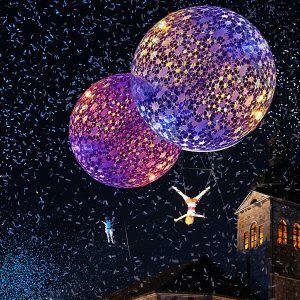 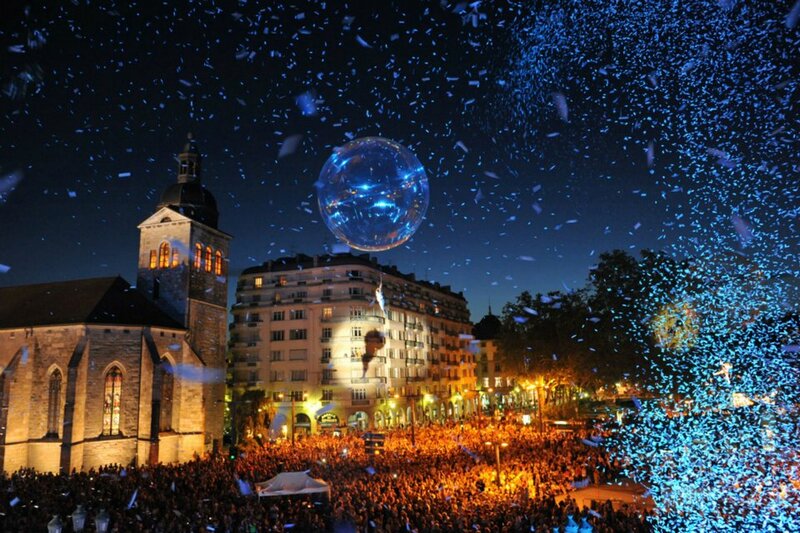 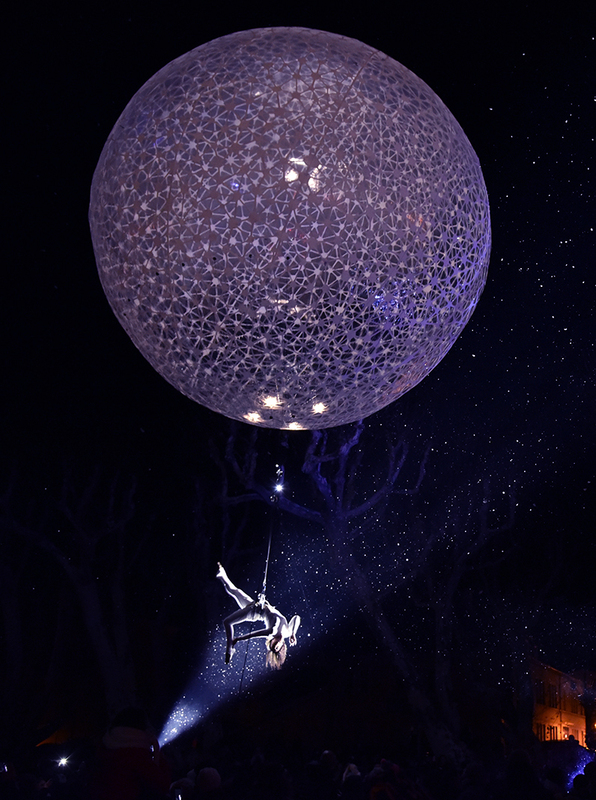 It combines acrobatics, aerial dance and : atmospheric effects (smoke, bubbles, confetti). 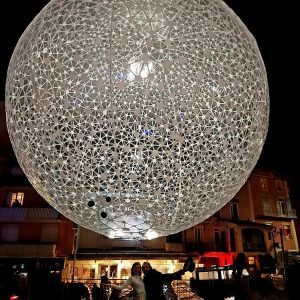 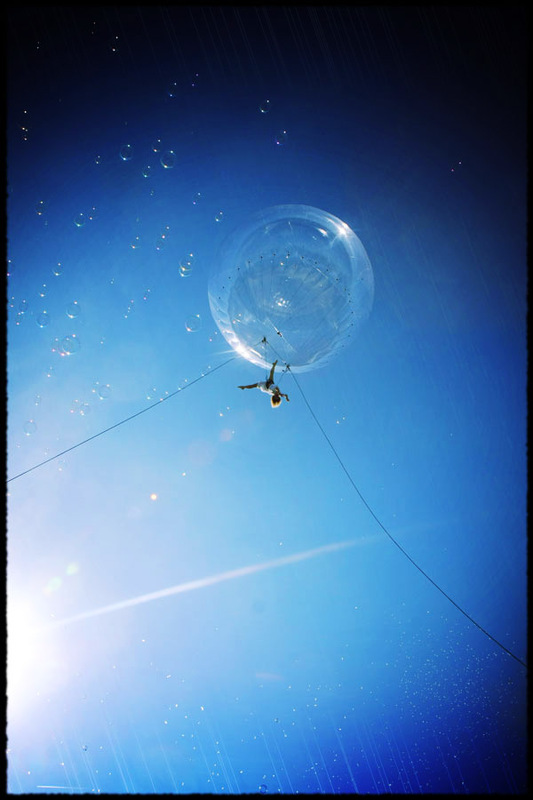 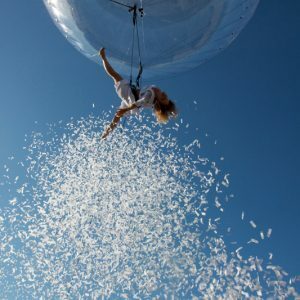 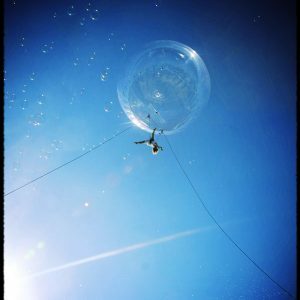 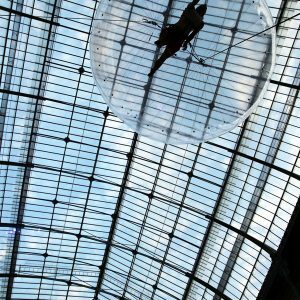 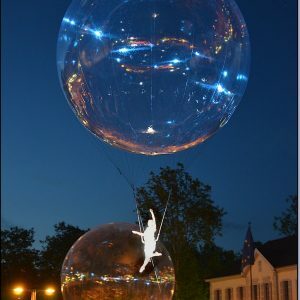 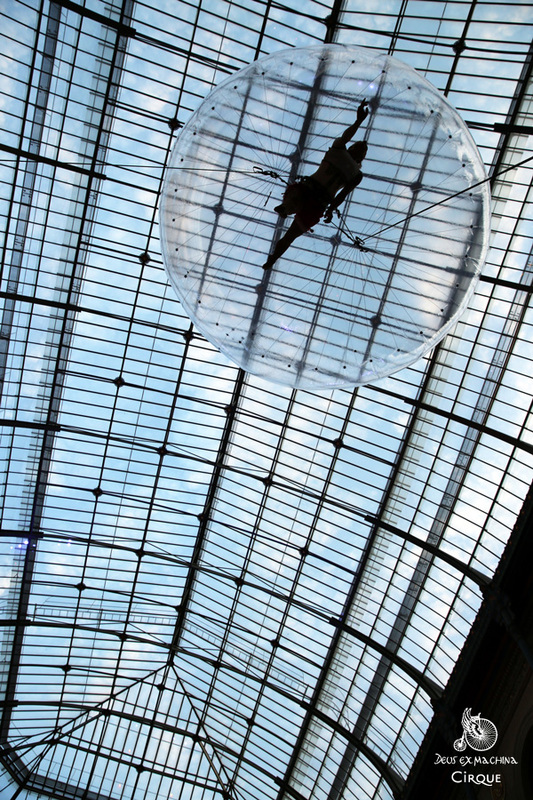 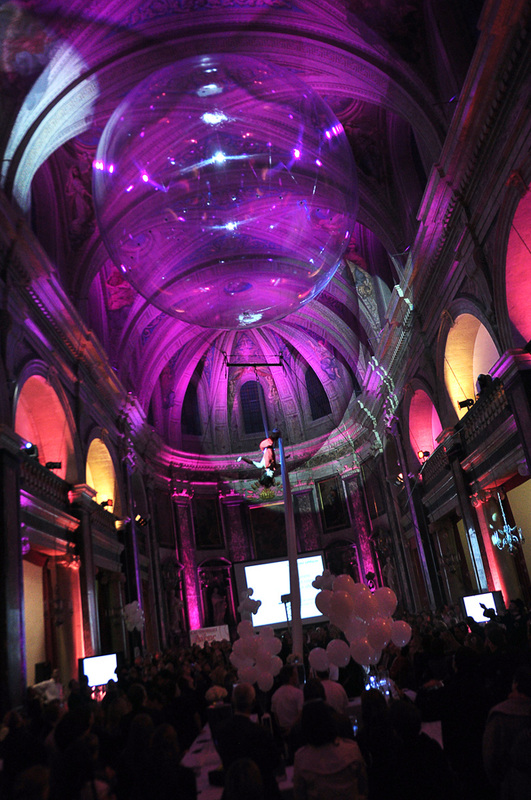 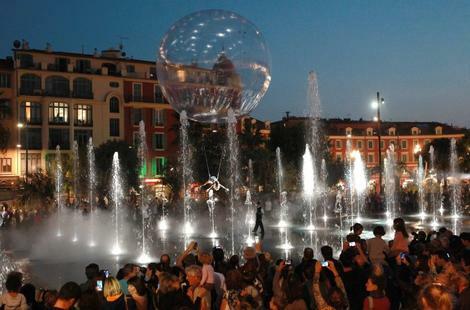 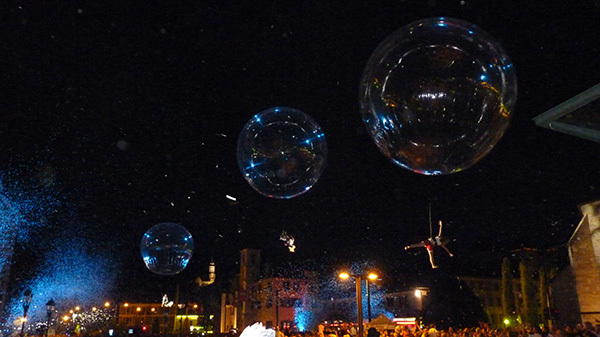 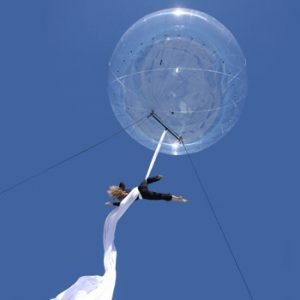 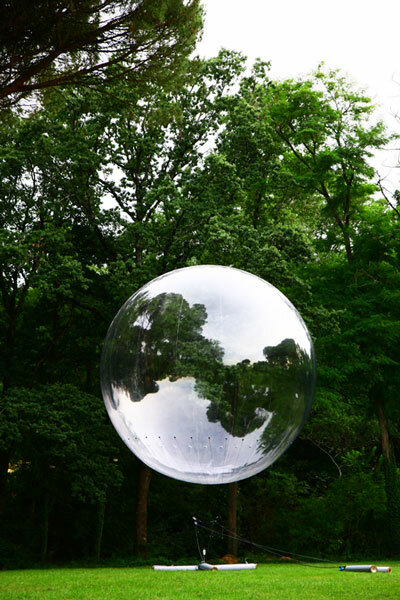 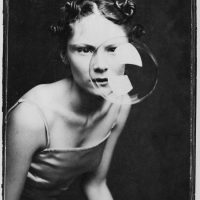 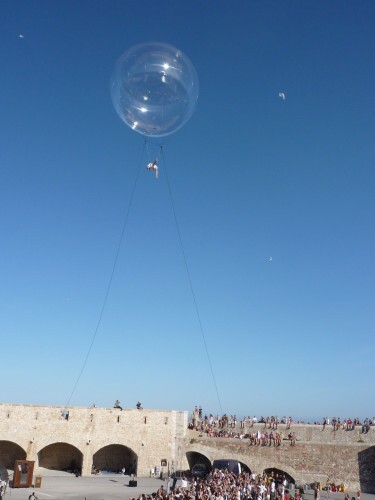 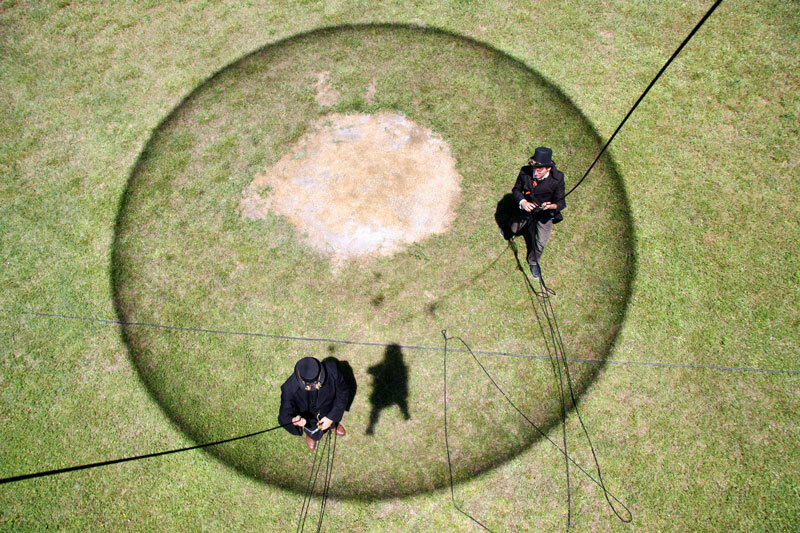 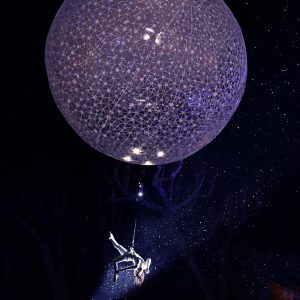 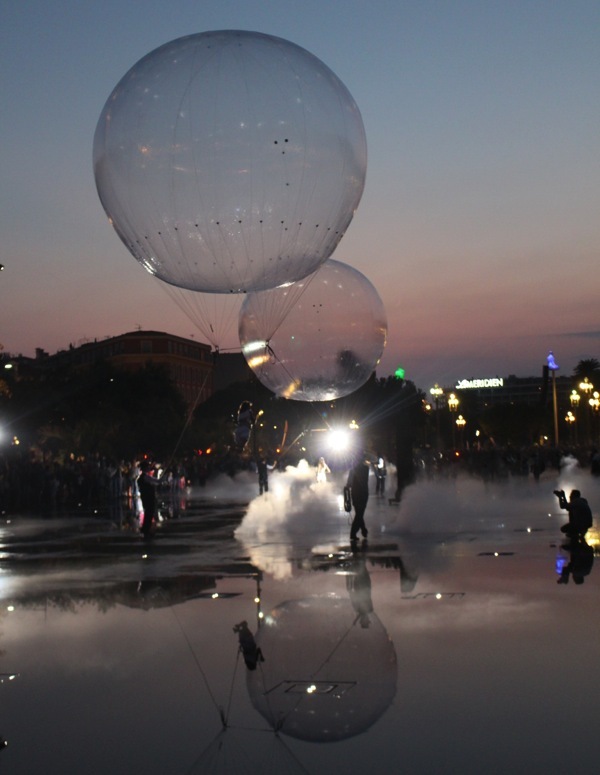 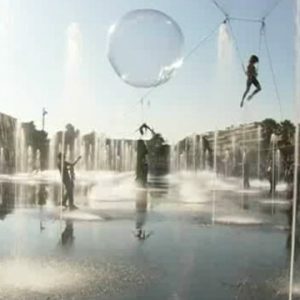 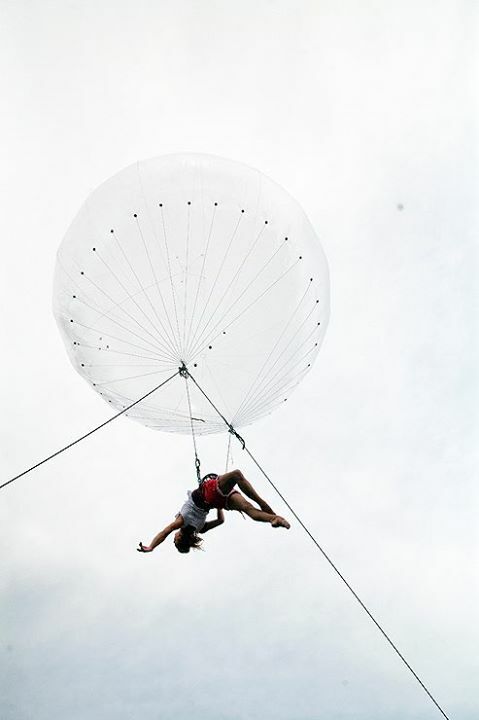 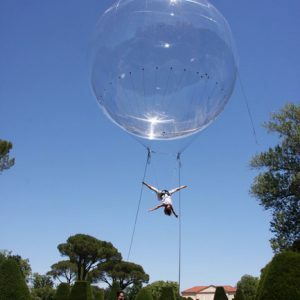 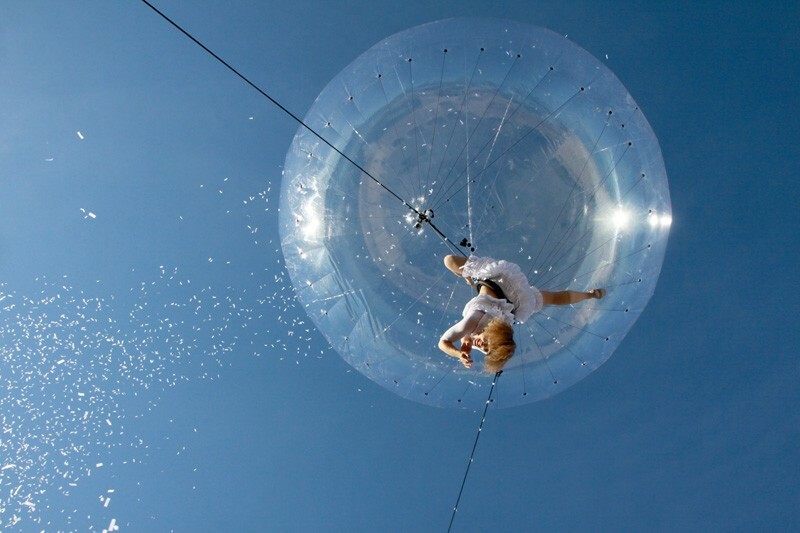 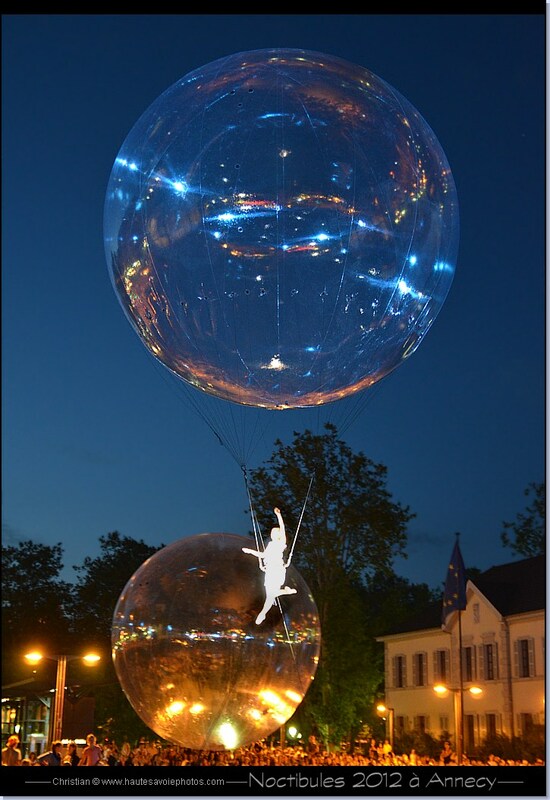 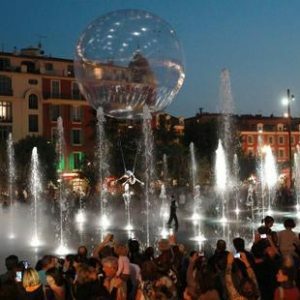 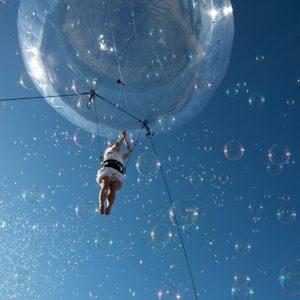 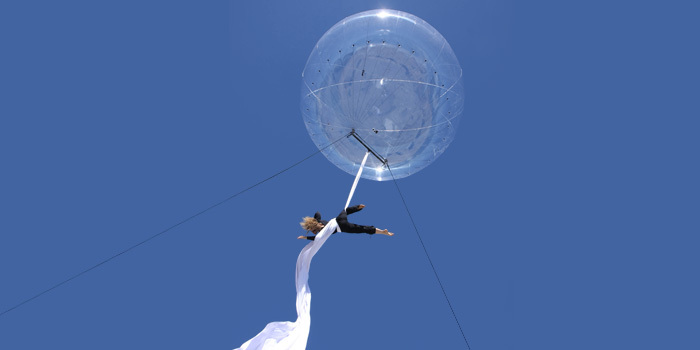 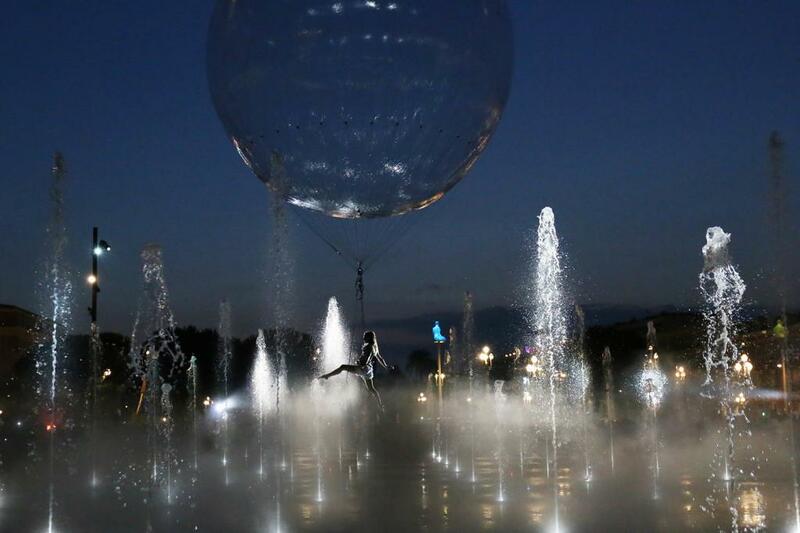 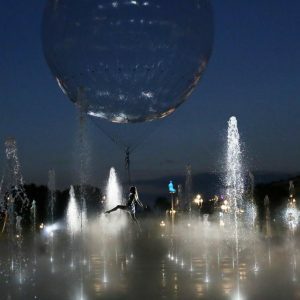 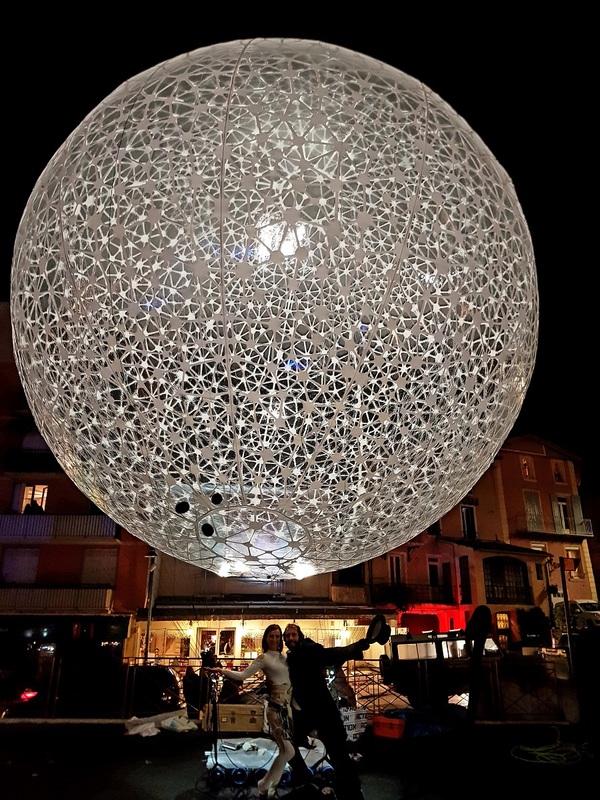 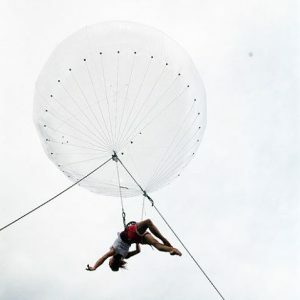 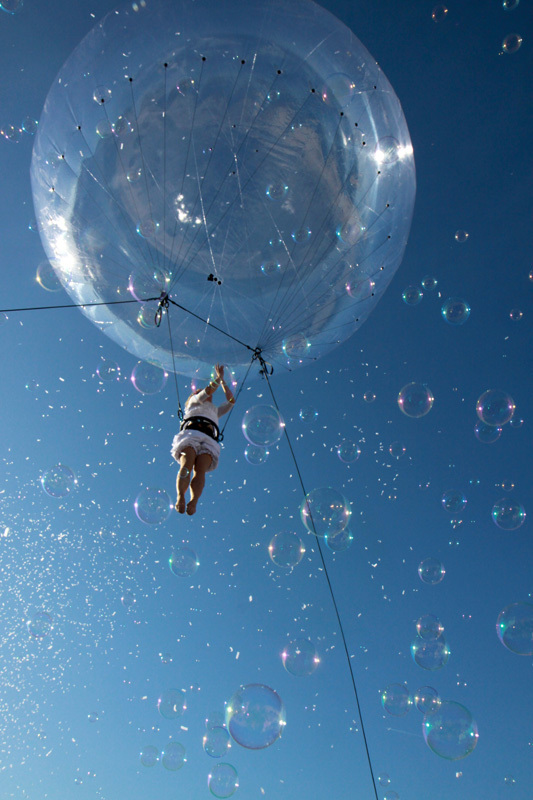 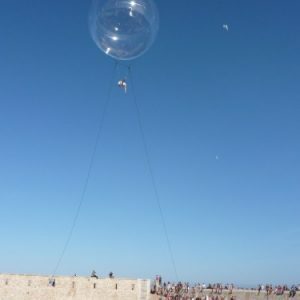 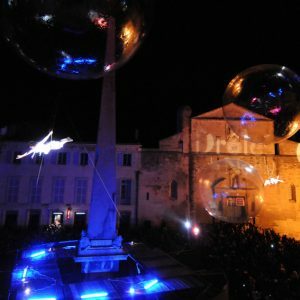 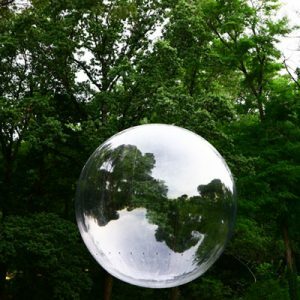 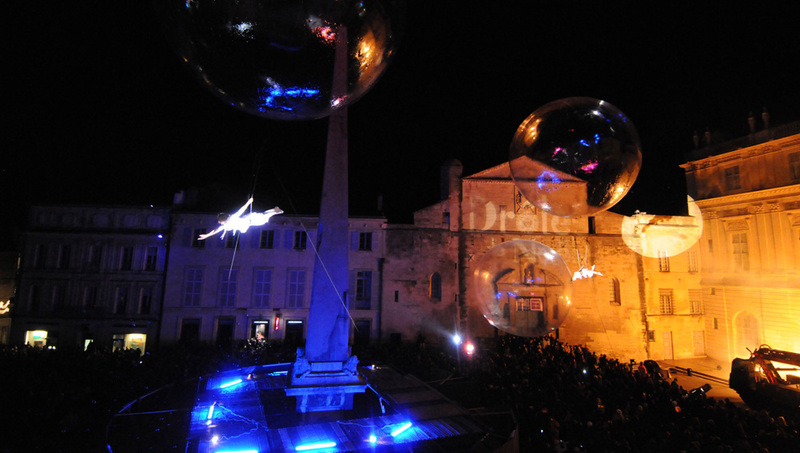 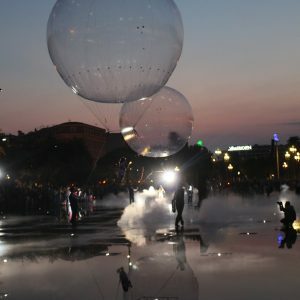 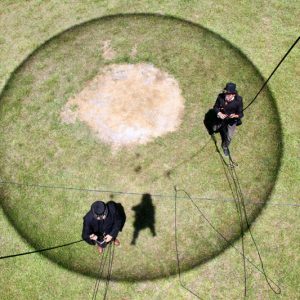 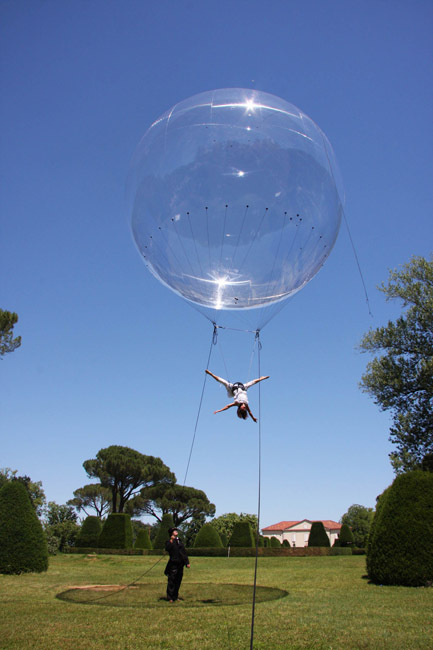 The use of specific structures “bubble®” gives artists movements, a unique poetry, as a zero gravity flight in which the different effects of light seal the magical aspect. 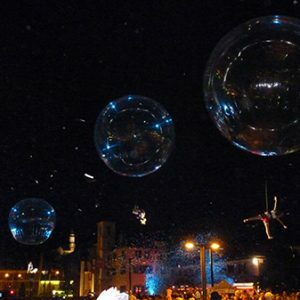 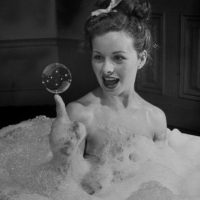 The performance can be personalized or include the staging of your event (1-5 bubbles) day or night.